We are excited to share that one of this Fall’s exceptional releases from Assouline, Iran Modern: The Empress of Art was co-written by 1858 Ltd. Managing Director Viola Raikhel-Bolot and writer and political analyst Miranda Darling. Iran Modern tells the incredible story of one of the world’s most important collections of Western Contemporary art and the woman behind it, Her Imperial Majesty Farah Pahlavi. During her reign as the first crowned Empress in Iranian history, Empress Farah Pahlavi dedicated her life to serving the Iranian people, creating and curating museums and festivals across the country. With a keen eye—and working with a cast of international curators and art dealers —the Empress amassed one of the world’s greatest collections of modern art for her country, including works by van Gogh, Picasso, Bacon, Rothko and de Kooning. Her Majesty visited the studios of artists like Henry Moore and Marc Chagall, and commissioned works directly from a young Andy Warhol, who paid a visit to the Royal Palace; her vision was to establish her country as a cultural vanguard and to inspire and empower a new generation of Iranian artists. However, in 1979, the Revolution turned the country upside down and the Iran that emerged from the rubble was almost unrecognizable. Iran Modern: The Empress of Art uncovers the lost story of Farah Pahlavi’s epic journey from Empress to exile, and unearths the near-forgotten collection of contemporary art she left behind. Viola and Miranda are co-founders of Vanishing Pictures Productions, telling the stories of women who have changed the course of history in books and film. 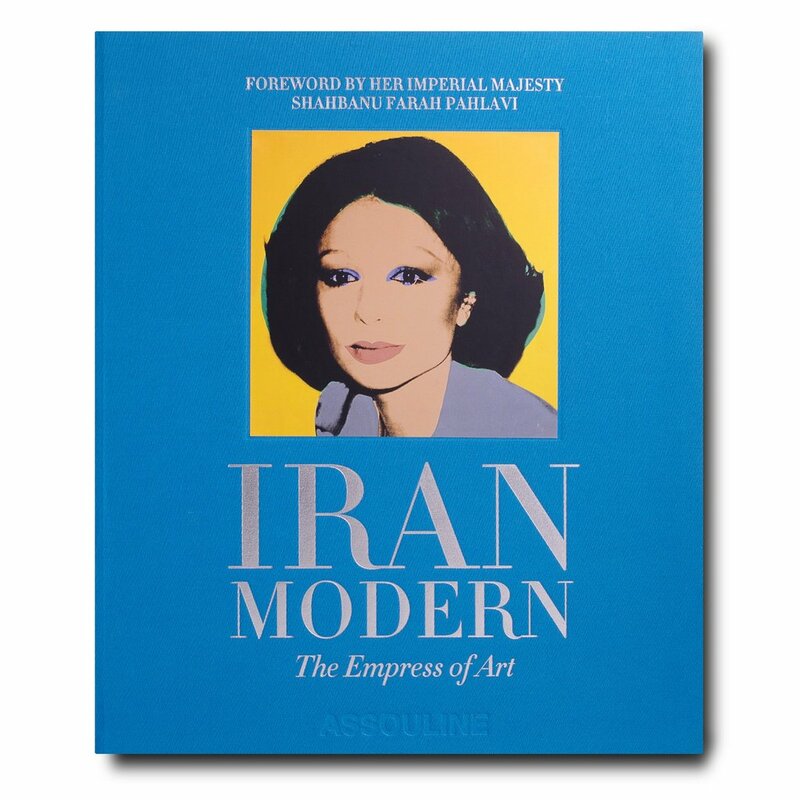 Iran Modern: The Empress of Art is a limited edition release with Assouline, pre-order now here. Stay tuned for the London launch this coming November at Maison Assouline on Piccadilly. Cover of Iran Modern : The Empress of Art, New York : Assouline publishers, 2018. 200 pages, over 100 color illustrations. ISBN 9781614286349.